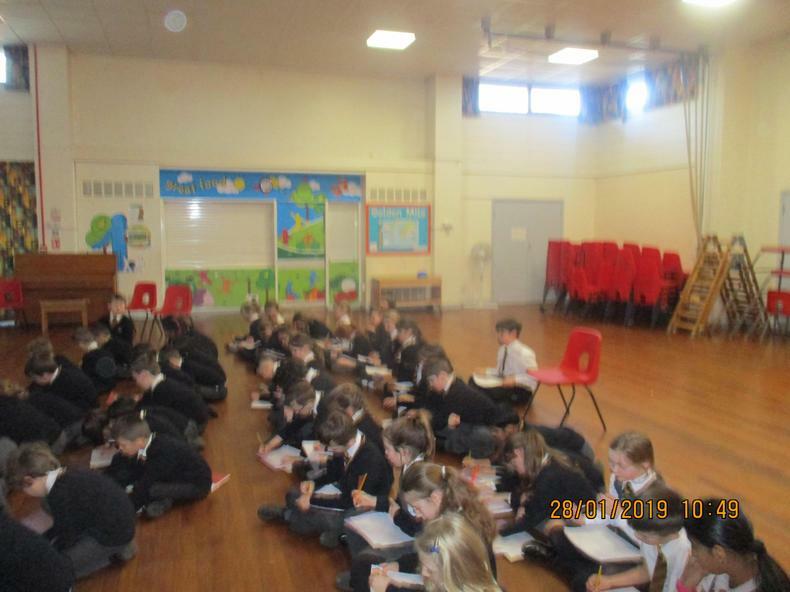 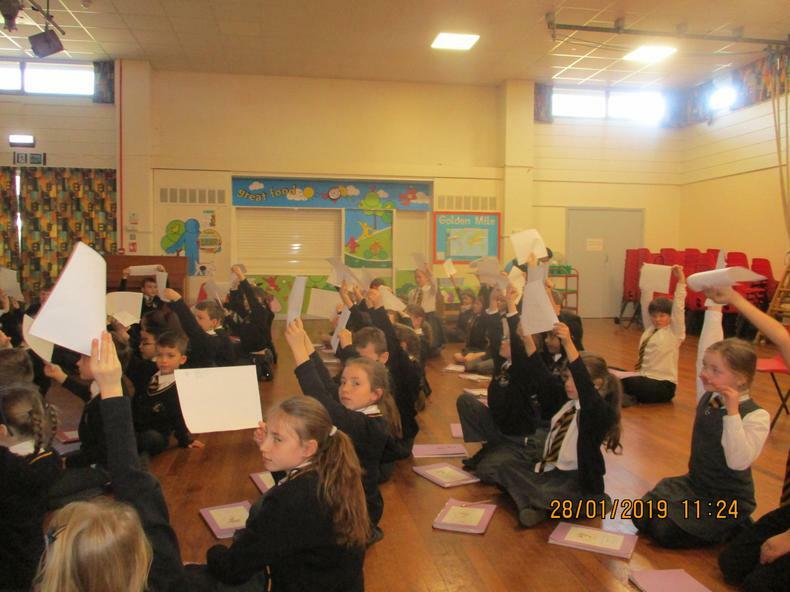 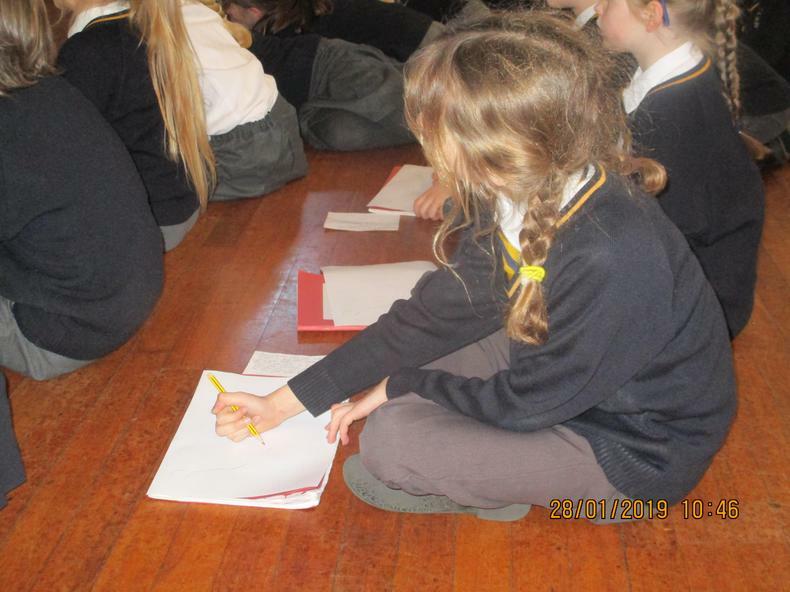 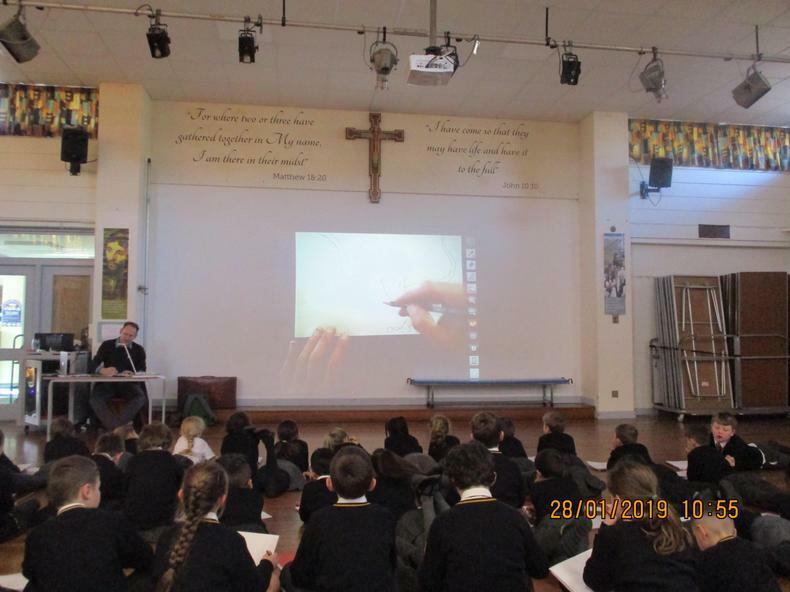 On Monday 28th January, St Jude's were visited by M.P. 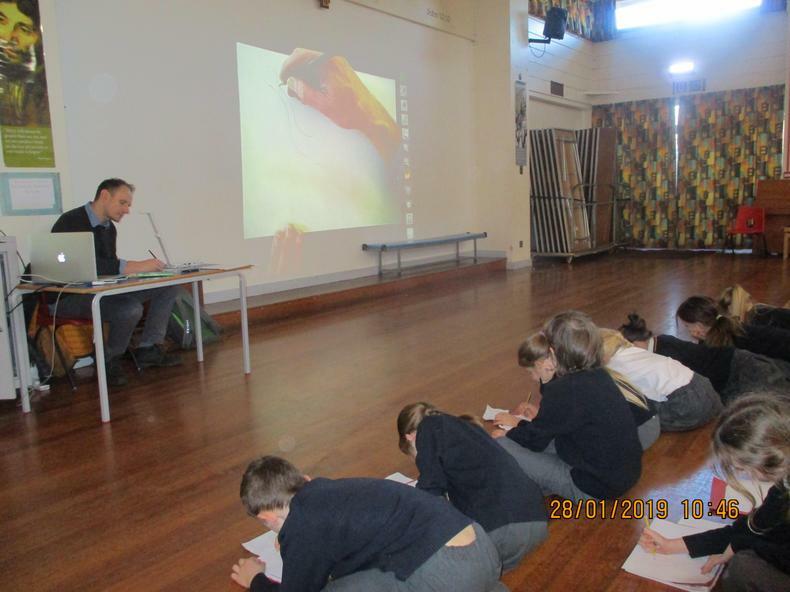 Robertson, a famous author and illustrator. 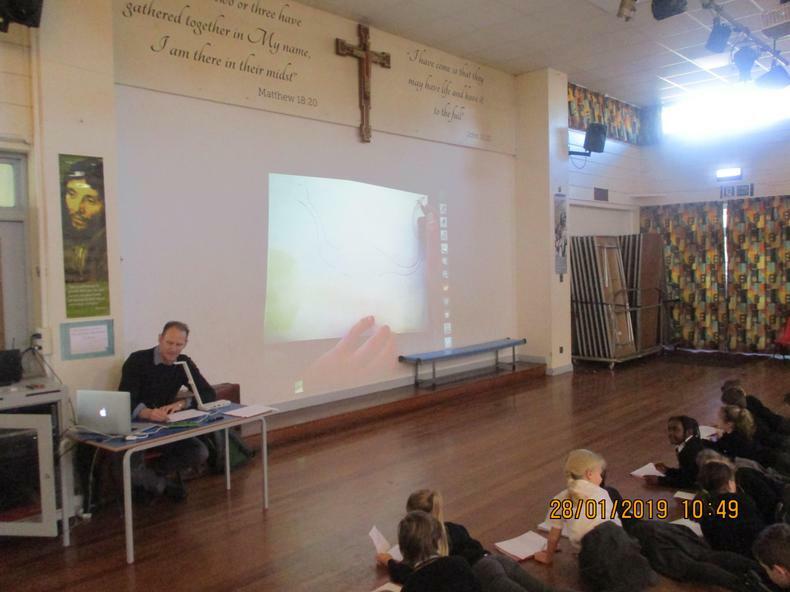 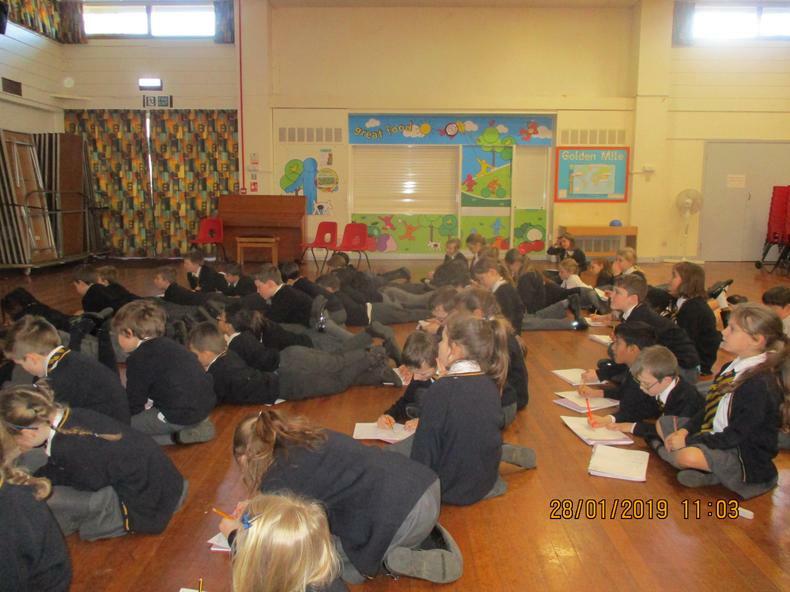 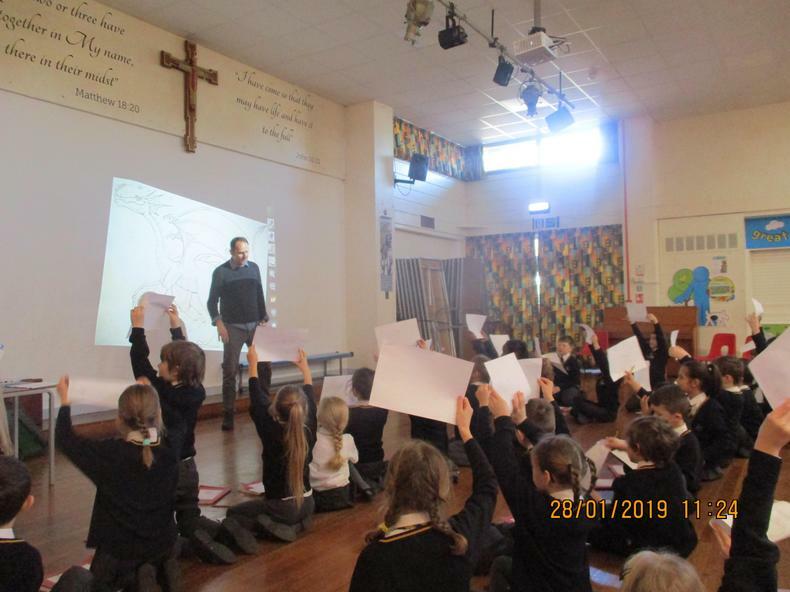 He shared his experiences of working as both an author and illustrator as well as reading a selection of his books. 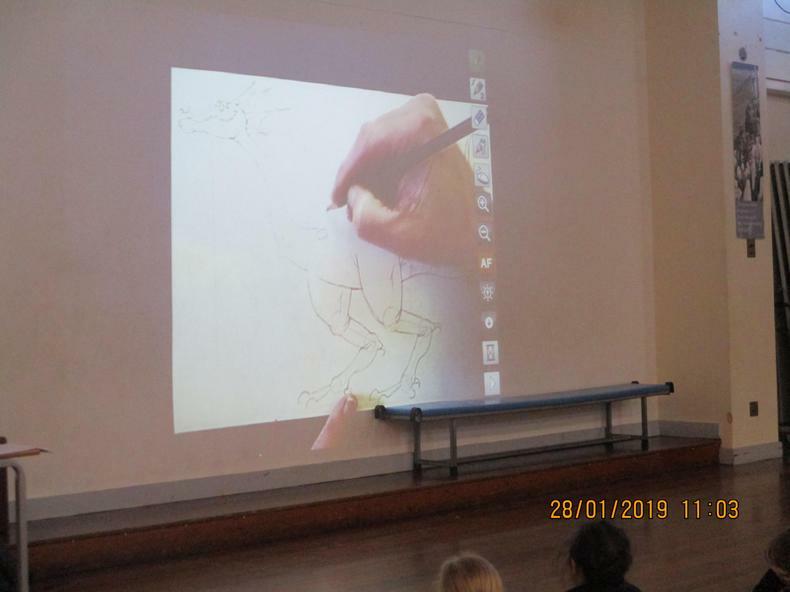 The most exciting part of his visit was when he proved that dragons were real! 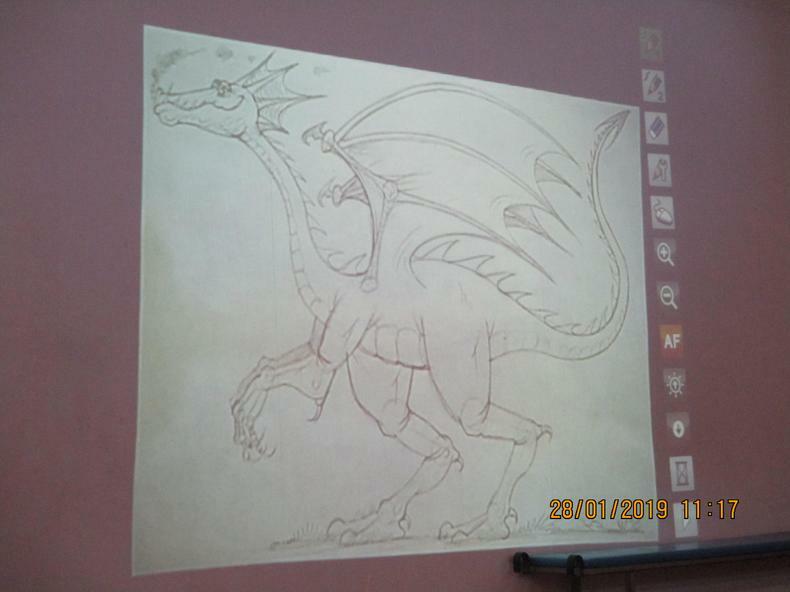 He showed us dragon horns and his pet dragon WHO VISITED THE SCHOOL! 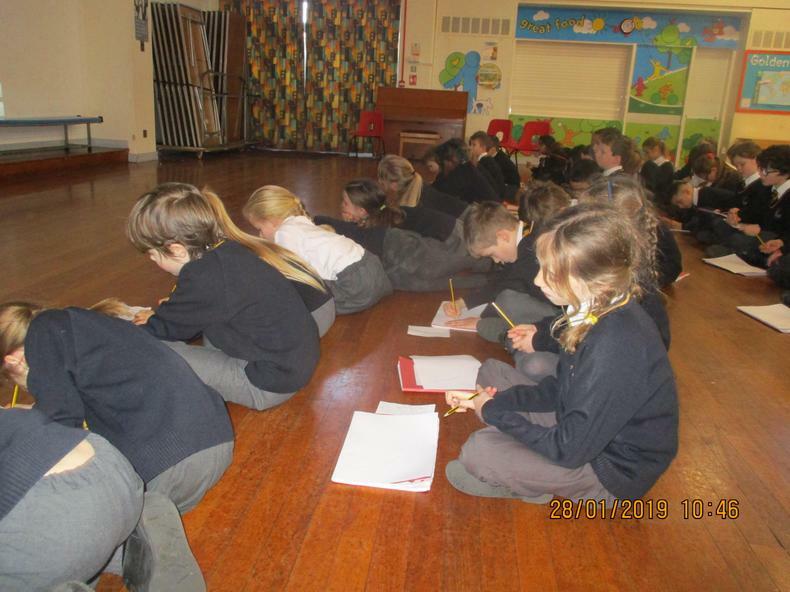 Year 3 and 4 were fortunate enough to work alongside M.P. 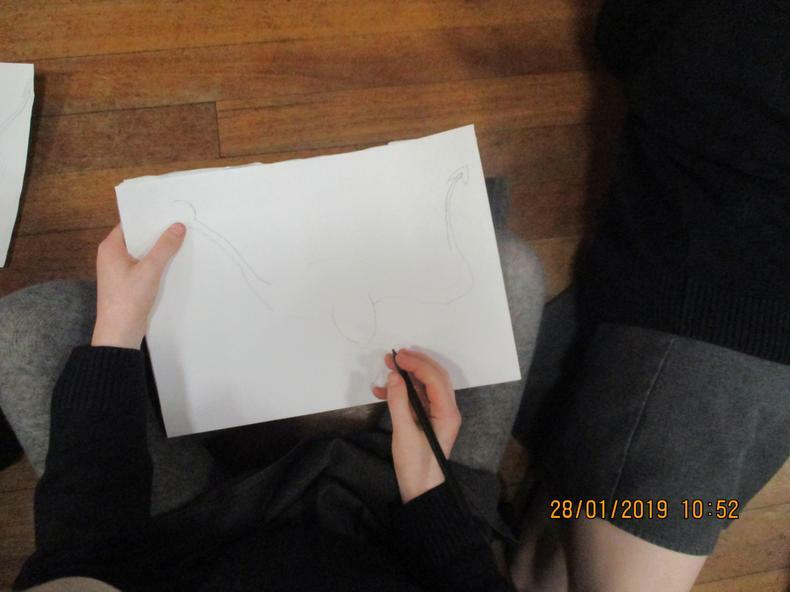 Robertson in an art session. 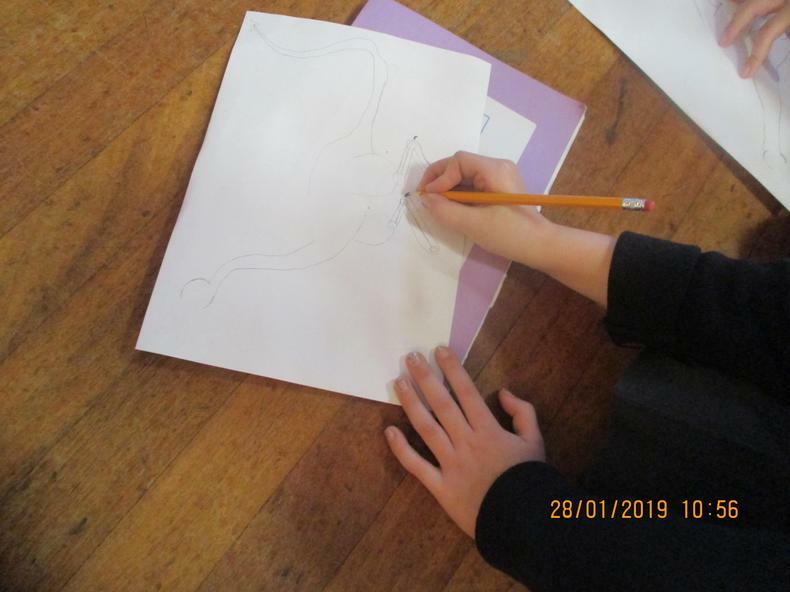 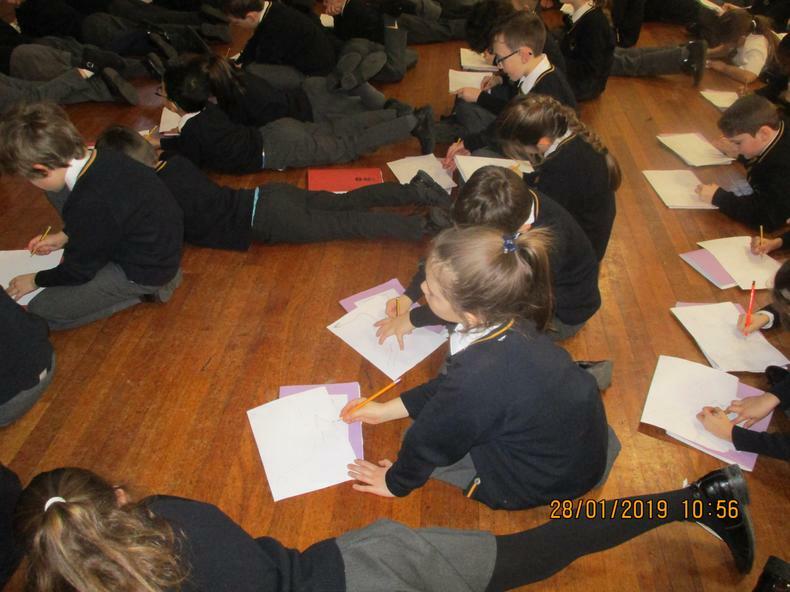 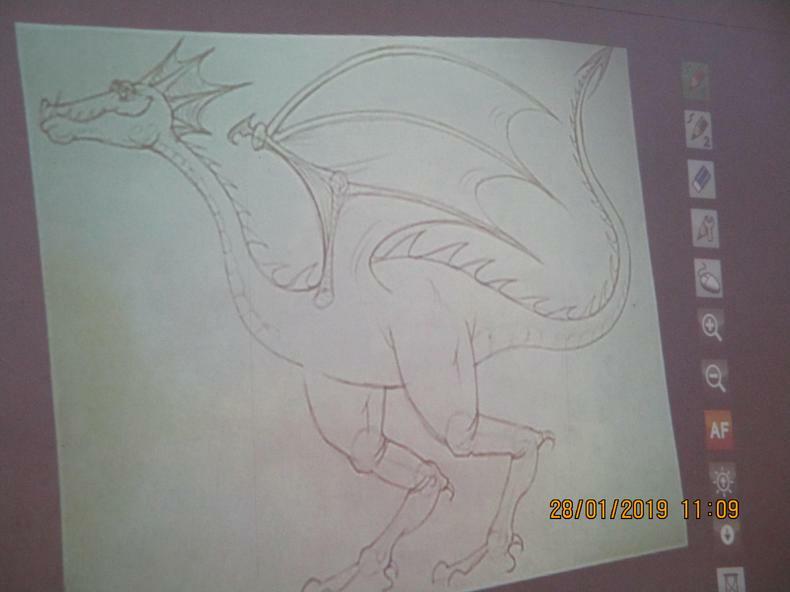 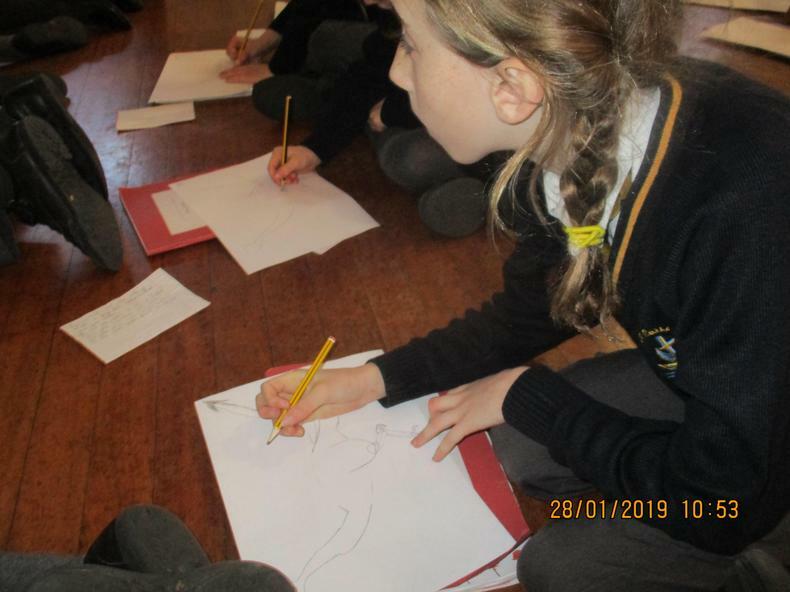 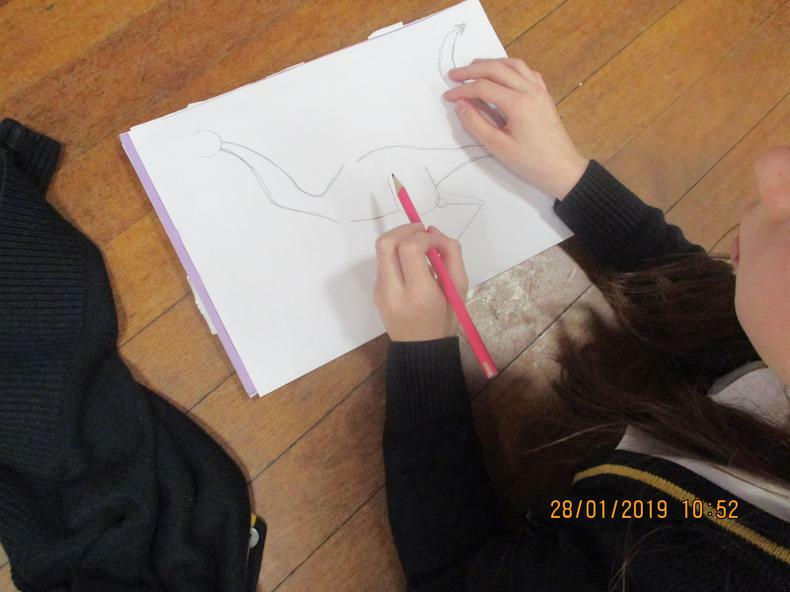 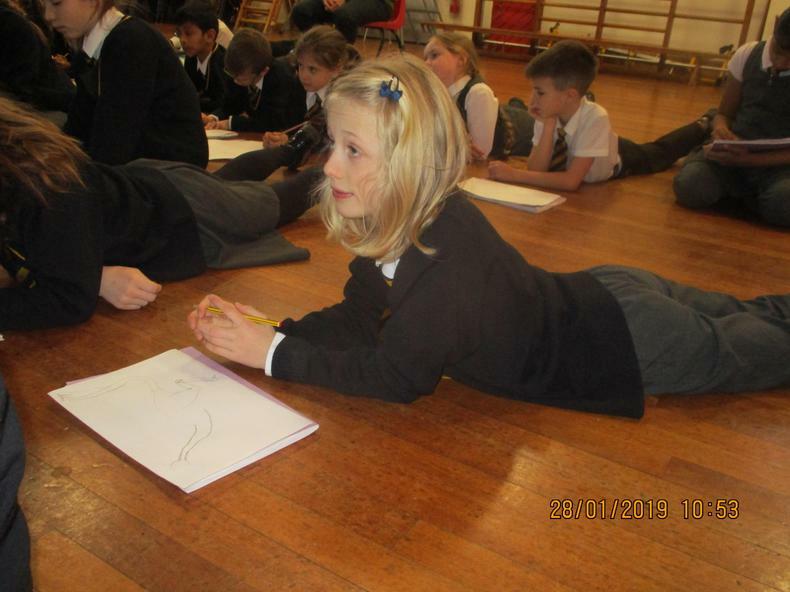 He shared all of his dragon drawing tips with us and we produced some excellent work!